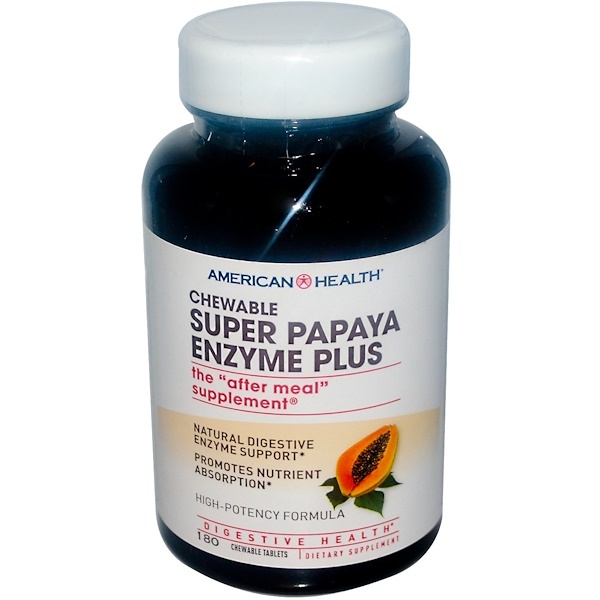 An advanced, more powerful digestive aid, our award winning "after meal" supplement contains 100% natural enzymes and may be especially helpful when looking for a higher level of support to help with inefficient digestion. Each serving contains 15 mg of delicious papaya fruit fortified with well-known enzymes, including papain, protease, amylase and bromelain, which encourages proper nutrition absorption and aids in the digestion of proteins, carbohydrates and fats. 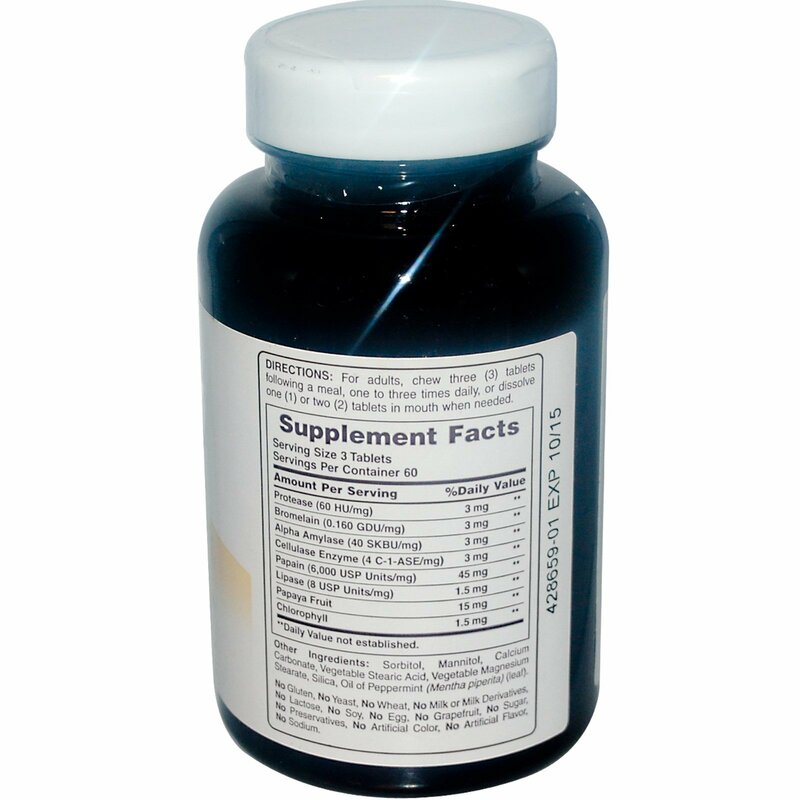 Peppermint and Chlorophyll are added to help reduce bad taste and sweeten breath. Sorbitol, mannitol, calcium carbonate, sorbitol, vegetable stearic acid, vegetable magnesium stearate, silica, oil of Peppermint (mentha piperita) (leaf).